ME STUFF (my new book) is out today! More info! Enter to win an autographed copy! 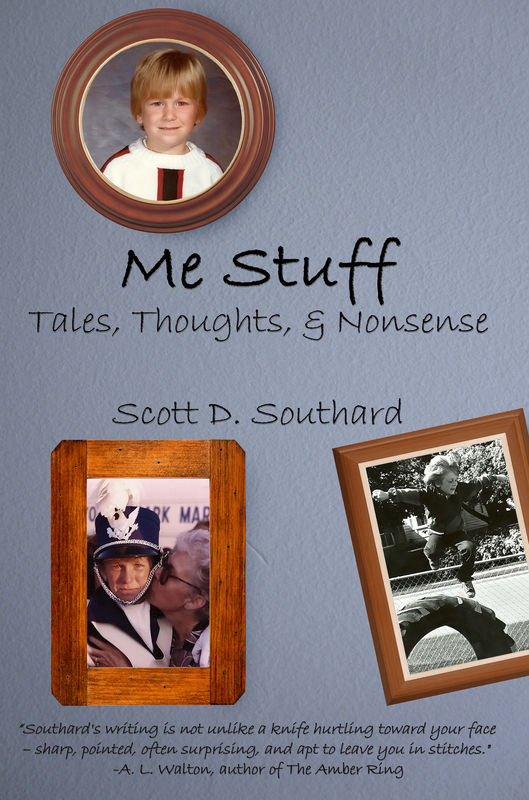 I’m happy to announce today the release of my new book Me Stuff! When I began this site three years ago, I never thought I would be releasing a book like this or that even people would be interested in my little blog and ramblings. And yet, here we are and I can’t wait for you to check out this fun collection. I’m really proud of it and it has a little bit of everything, containing 40 popular entries. A little humor, a little romance, a little song and dance. It is exclusively available via Amazon.com. The print copy is only $9.99 and the eBook version is just $1.99! You can find Me Stuff here. To help celebrate the release of Me Stuff, two lucky readers on GoodReads.com will win an autographed copy of the book. The sweepstakes is through July 15. You can enter by clicking below. If you have enjoyed this site in the past, I hope you will grab a copy of my new book (here) and maybe even tell a friend. And, as always, thank you for reading. This book wouldn’t exist if it wasn’t for the support of readers like you. Thank you! This entry was posted in Books and tagged Amazon, Autobiography, Autographed, Banking, Comedy, eBook, English major, GoodReads, GoodReads.com, Humor, Kindle, Life, Memoir, New Book, New release, Readers, reading, Romance, Sweepstakes, Teachers by Scott D. Southard. Bookmark the permalink. WAY TO GO SCOTT! I’m sure that “Me Stuff” is as eclectic as you are! Sounds fab and well done. There’s nothing wrong with An eclectic mix of musings or prose… That’s what I tell myself when I sit down my blog at least. This looks like one for the download list ! Thanks! I hope you dig it. Cheers! I just picked my e-book copy on Amazon. Congratulations. Thank Kathy. I hope you like it. That’s awesome Julie! Thanks. It will be interesting to see how people respond to the book. It’s a collection of my nonfiction from the site, which is very different from my fiction. In a way, it feels like I am more out there. If you ever get around to reviewing it, be sure to tell me!